As a chamber musician, Shannon has performed at the Innsbrook Summer Music Festival, Garth Newel Music Center, Sarasota Music Festival, Kneisel Hall, ENCORE School for Strings, Aspen Music Festival, Stony Brook University, the International Clarinet Association National Conference (Belgium), International Trumpet Guild, Northwestern University, Brancaleoni International Music Festival (Italy), and with the Bryant Park Chamber Players in New York City. 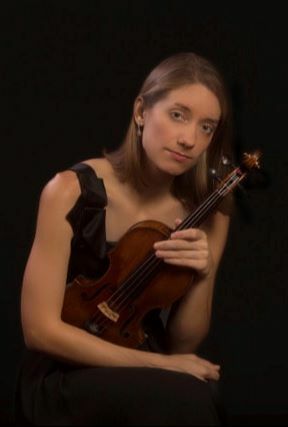 In addition to concerts with the Tallahassee Symphony Orchestra where she serves as principal second violin, Shannon performs regularly with the IRIS Orchestra under the direction of Michael Stern. Shannon has recorded for the Blue Griffin Records, and her CD celebrating the music of women composers Lera Auerbach, Ellen Taaffe Zwilich, and Jennifer Higdon was released in 2018. Interested in sharing her enthusiasm for the arts through teaching, Shannon is in demand as a pedagogue. She currently serves as Assistant Professor of Violin at Florida State University and gives master classes throughout the United States and abroad. Previously on the faculties of University of Southern Mississippi, the Cleveland Institute of Music Preparatory Division, and Interlochen Arts Camp, her students have been prizewinners and finalists at national competitions, including MTNA and the Sphinx Competition. She has also taught at the Kinhaven Music School, Stony Brook University Chamber Music Camp, University of North Carolina at Chapel Hill’s Luby Violin Symposium, and the Innsbrook Institute Summer Music Academy and Festival, where she served as Education Director. Shannon has presented educational sessions at the National ASTA conferences, Florida Music Educators Association annual conference, and the Luby Violin Symposium. In addition, she has served as an adjudicator and clinician for the Seattle Young Artists Music Festival Association in addition to regional All-State orchestral auditions. Shannon earned a Doctorate of Musical Arts at the Cleveland Institute of Music, where she was Paul Kantor’s teaching assistant. She received a Master of Music at Yale University and a Bachelor of Music at Vanderbilt University, and also pursued graduate work at Arizona State University, where she was the first student to be accepted into the Artist Diploma program. She studied chamber music with Peter Salaff, Merry Peckham, George Sopkin, Christopher von Baeyer, Laurie Smukler and members of the Juilliard, Blair, Tokyo, and Cavani String Quartets. Her principal teachers have included Paul Kantor, Cornelia Heard, Jonathan Swartz, Robert Lipsett, and Ani Kavafian. She lives in Tallahassee, Florida, with her husband, violinist Frank Trem, and their dog Techo the Yorkiepoo.